Proper nutrition is not the same thing as having safe food. To ensure your healthy food is safe, always follow proper food safety principles and procedures to also prevent foodborne illness. Fruits and vegetables are an important part of a healthy diet. 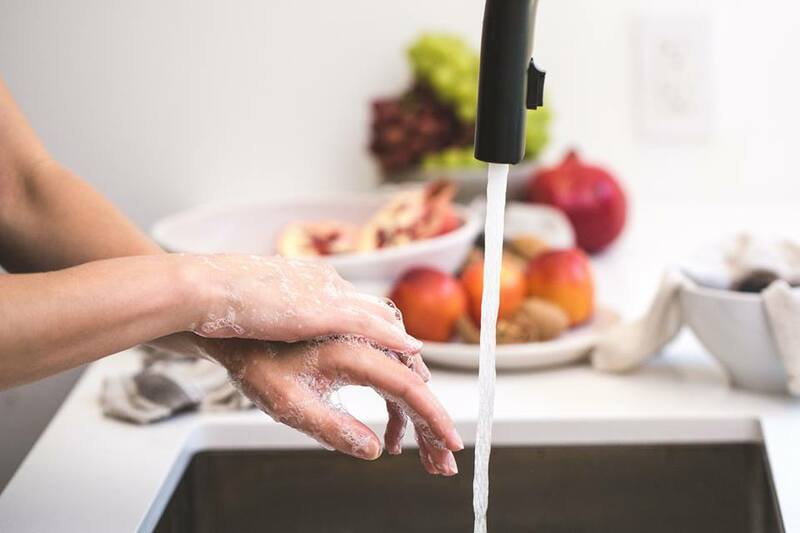 But, raw fruit and vegetables may contain harmful germs, such as Salmonella, E. coli, and Listeria, which can make you and your family sick with food poisoning. 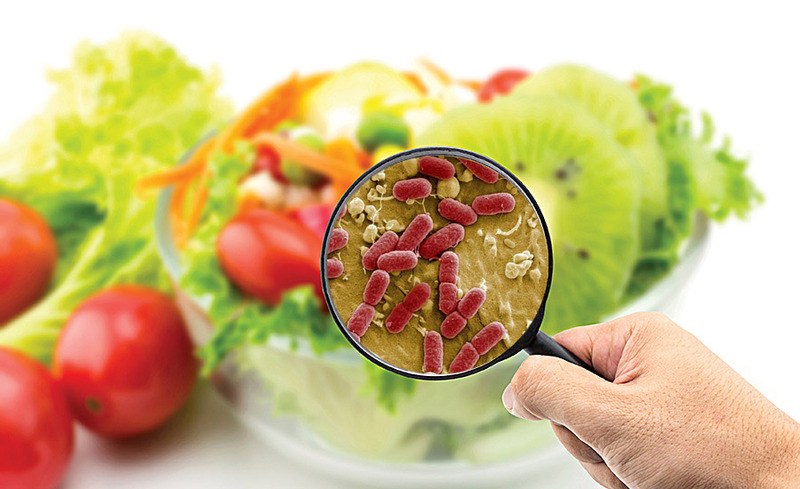 In the United States, nearly half of foodborne illnesses are caused by germs on contaminated fresh produce. 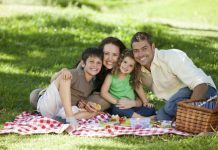 It is important to learn how to handle and prepare them safely in order to reduce the risks of foodborne illness. There are steps that can help keep you healthy – and your fruits and vegetables safer to eat – from the store to your table. 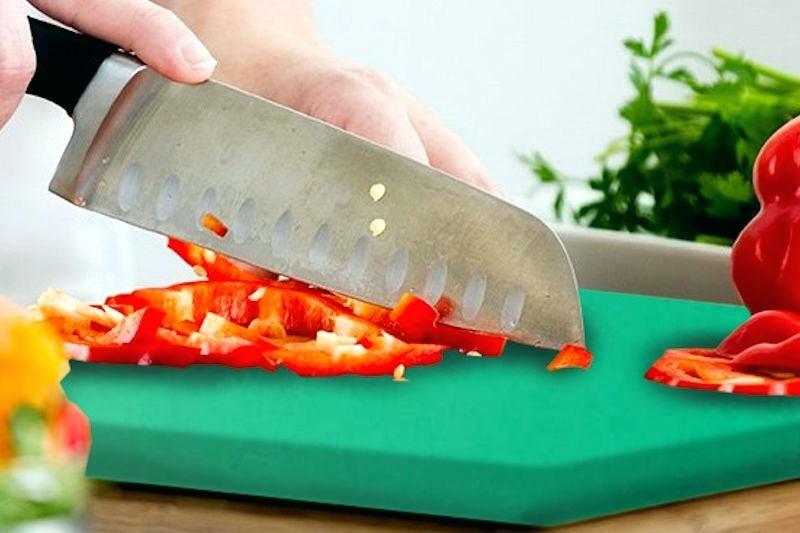 Wash cutting boards, countertops, and utensils with hot, soapy water before and after preparing fruits and vegetables. 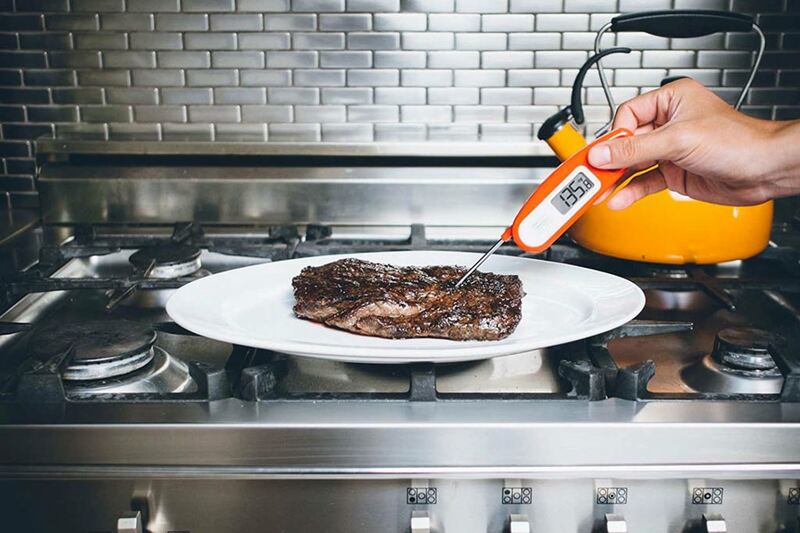 Use a food thermometer to ensure meat is cooked hot enough to kill harmful germs. 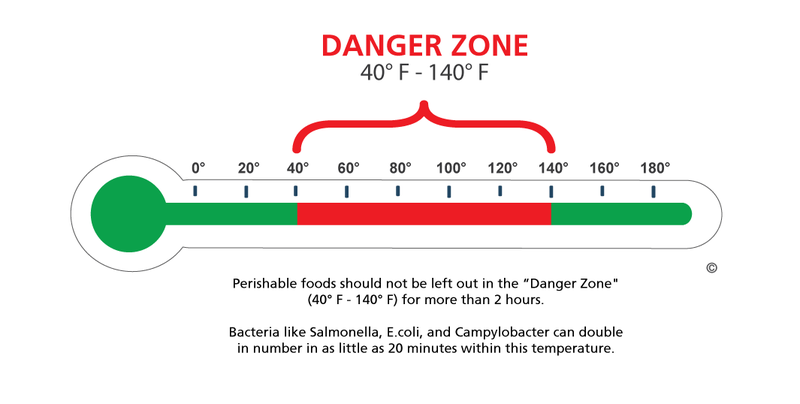 Refer to the Safe Minimum Cooking Temperatures chart below for the proper cooking temperatures and “rest time” of meats. Refrigerate cut, peeled, or cooked fruits and vegetables as soon as possible, or within 2 hours. Refrigerate within 1 hour if the temperature outside is above 90°F. Use a refrigerator thermometer to make sure the temperature stays at 40°F or below. Keep meat, poultry, and seafood refrigerated until ready to grill. Afterwards, divide leftovers into small portions and place in covered, shallow containers. 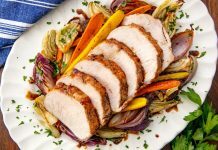 Put in freezer or fridge within two hours of cooking (one hour if above 90°F outside). Bacteria grows rapidly between the temperatures of 40°F and 140°F. 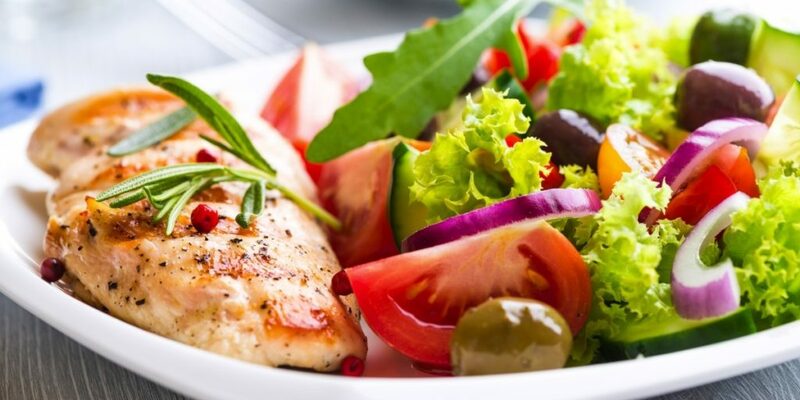 After food is safely cooked, hot food must be kept hot at 140°F or warmer to prevent bacterial growth. 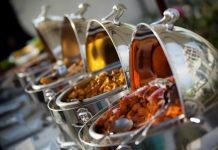 Practice good nutrition by eating a balanced diet of protein, carbohydrates, healthy fats, and vegetables – but always use proper food safety techniques to ensure your healthy food is safe.